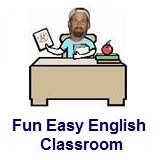 ﻿ Fun Easy English - new classroom free online classes english language lessons speaking listening writing reading september 13. Today in the Fun Easy English classroom you are going to learn "lotta" an American English reduction. There was a lotta food at the buffet. There was a lot of food at the buffet. A lotta thought went into this decision. Are you planning to join a lotta tours while you are on vacation? Do you want to see a lotta birds at the park today? You certainly bought a lotta wine today. That certainly was a lotta of fun. Probably the most famous usage of this American English reduction is in the Led Zeppelin song "Whole Lotta Love" which repeats this term over and over. The song also uses the reduction "gonna" numerous times. 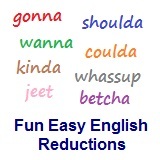 Reductions, such as lotta are not real words in English. Led Zeppelin "Whole Lotta Love" with Lyrics - Led Zeppelin were an English rock band formed in London in 1968. The group consisted of guitarist Jimmy Page, singer Robert Plant, bassist and keyboardist John Paul Jones, and drummer John Bonham. The band's heavy, guitar-driven sound, rooted in blues and psychedelia on their early albums, has earned them recognition as one of the progenitors of heavy metal, though their unique style drew from a wide variety of influences, including folk music. Use a dictionary to look up words you do not understand.